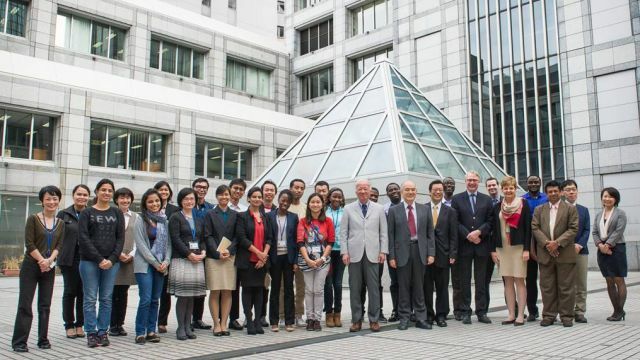 The 2015 UNU-IAS Board Meeting was convened in Tokyo on 23–24 October. The members of the Board reviewed the activities of the institute and provided advice and guidance for its future development. The meeting included a special session in which Board members interacted with students of the UNU-IAS postgraduate degree programmes. Several master’s and doctoral students presented their research and received feedback from the Board members. A public symposium was also held in conjunction with the meeting, on the topic Linking Science and Policy for Implementing the 2030 Agenda for Sustainable Development, with Board members participating in a panel discussion. For more information on the Board and its members, please visit the UNU-IAS Board pages.